View Homes for Sale in St Johns, Florida and Sort by Price and Community. 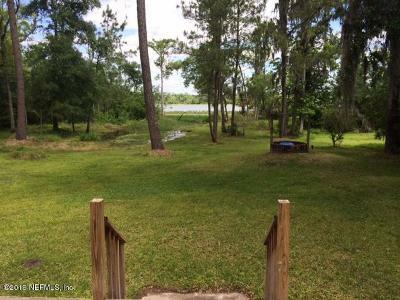 If you are interested in houses, homes and real estate for sale in St Johns, Florida located in St Johns County this is a great place to start your search. For your convenience, links to most of the communities in the area are below. These amazing communities offer top quality amenities and St Johns County Schools are some of the top schools in the state. 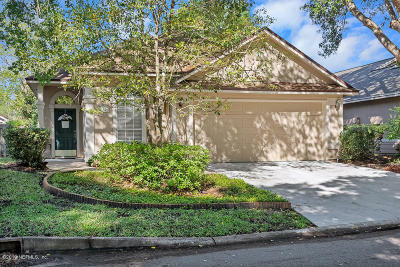 St Johns is a newer community that is about halfway from downtown Jacksonville and downtown St Augustine and is generally made up of the 32259 zip code including Julington Creek, Switzerland and Fruit Cove. The St Johns mailing address is west of US1, north of County Road 210 and is bordered on the west by the St Johns RIver and to the north by the southern edge of Jacksonville. Some popular communities in St Johns are Julington Creek Plantation, Durbin Crossing, Aberdeen, St Johns Forest and RIvertown. Several parks are nearby for residents to enjoy such as Alpine Groves Park, Veterans Park and Bartram Canoe Trail and there is plenty of shopping and dining in the area with more options popping up regularly. With all the growth in the area its always pretty easy to find new construction homes for sale. Many of the residents choose to live here for its top schools and lower taxes but commute to work in Jacksonville. A new road (9B) is coming soon and when it is fully complete it will connect Racetrack Road into I-95 and I-295 which will shorten the commute to Jacksonville significantly and should help continue the growth for years to come. No matter if you are looking for waterfront homes, luxury homes, new homes or pool homes we have them all here. Let us know about the home you are looking for and we will customize a search to keep you updated as new listings hit the market. Finally our number one belief is we dont see houses....houses sell themselves. Our job is to educate so YOU can make informed decisions becuase you will know when its right~!